Long hair isn’t just for hippies and metalheads anymore. It can be a stylish and sophisticated look. 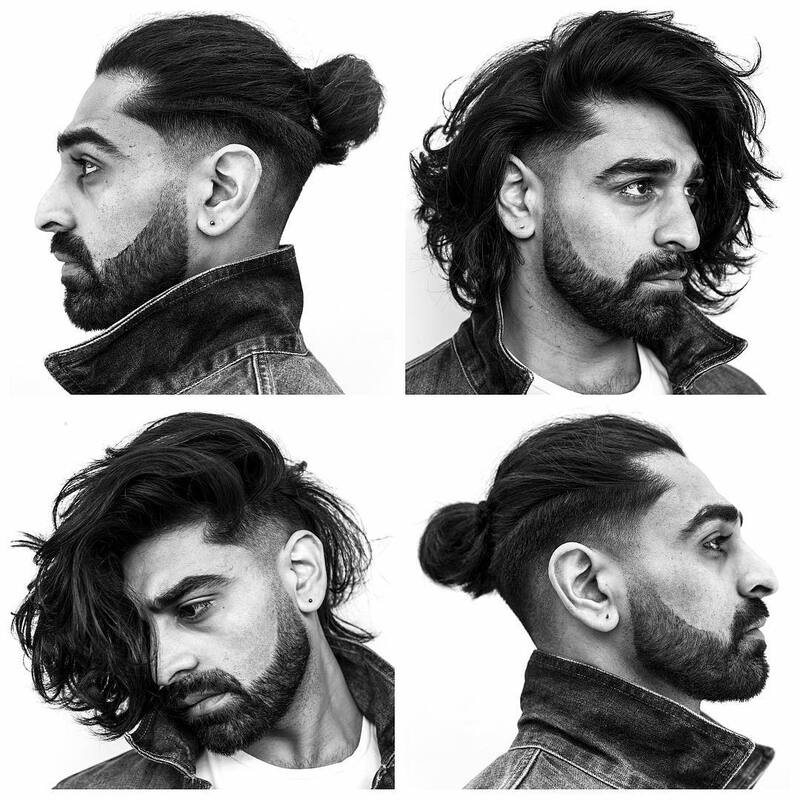 From chin length on down, these are the best men’s hairstyles for long hair. Of course, the most popular hairstyle for long hair is wearing it down. Just add a center or side part or slick it back. This works for the chin length to long locks as well as straight, thick, wavy and curly hair types. The key is regular conditioning and perhaps a touch of product to minimize frizz and fly aways. Hair up looks are also cool. 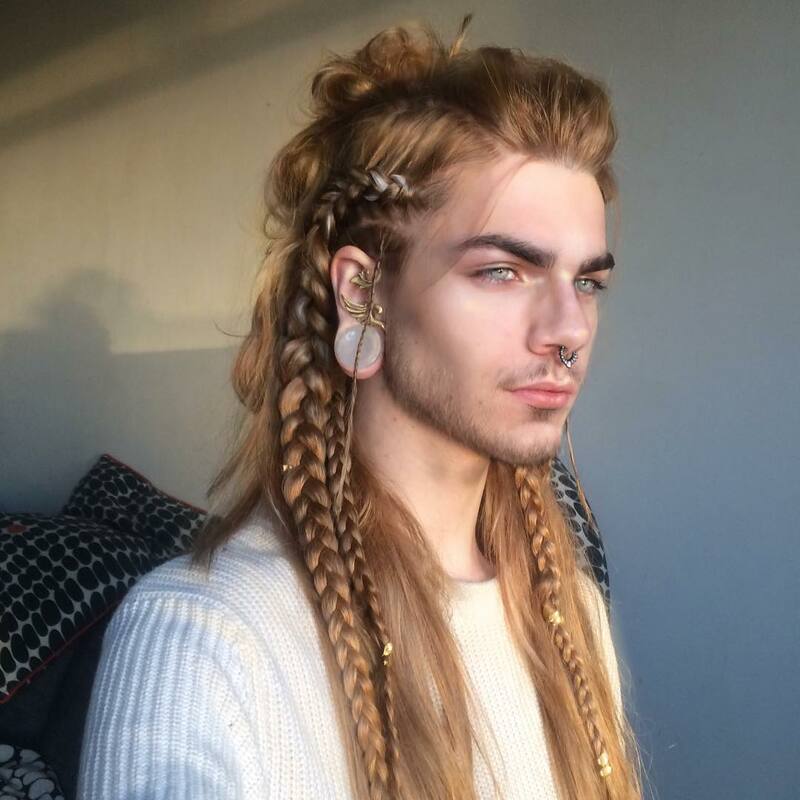 Beyond the man bun there are braids, half up hairstyles and viking hair. 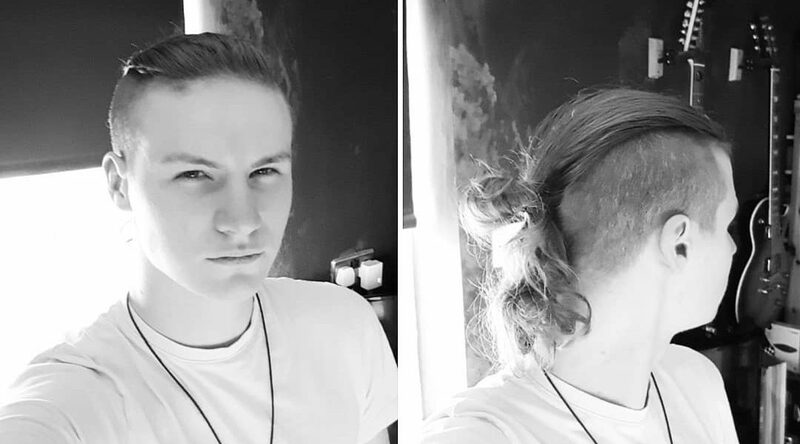 Shaved hairstyles are also a cool option for long hair. Add a fade, undercut or undercut fade for clean cut edges and even easier to style hair. 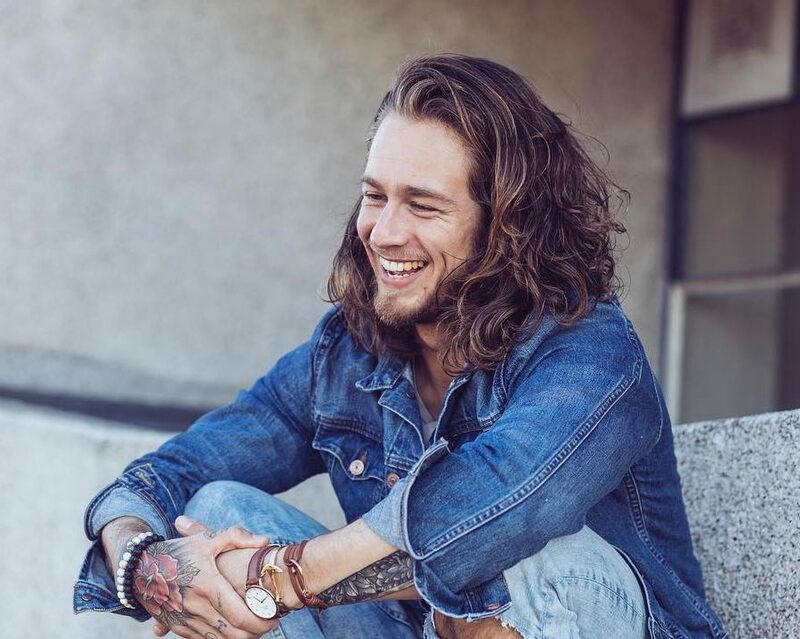 Check out these pictures for 26 of the best long hairstyles for men. 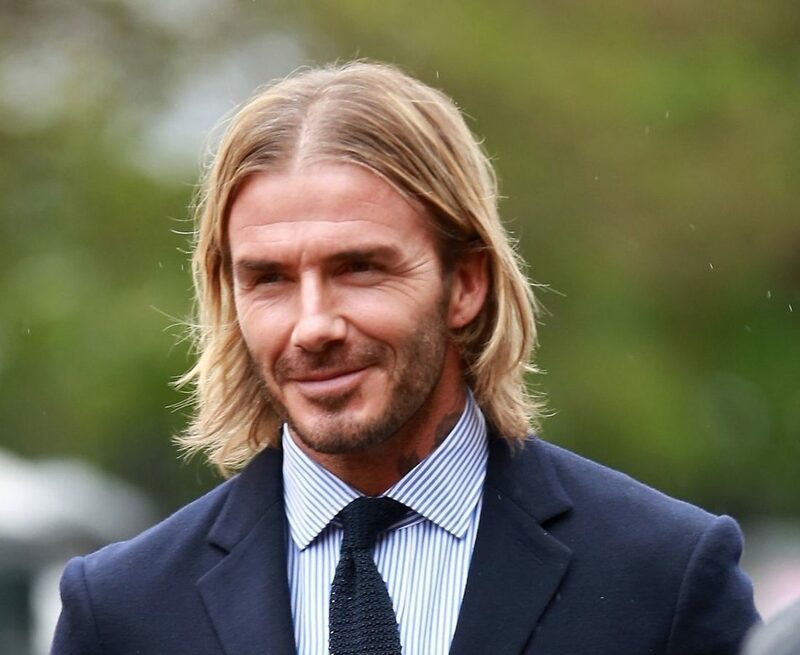 The setter of many men’s hair trends, David Beckham chopped longer hair into this man bob. 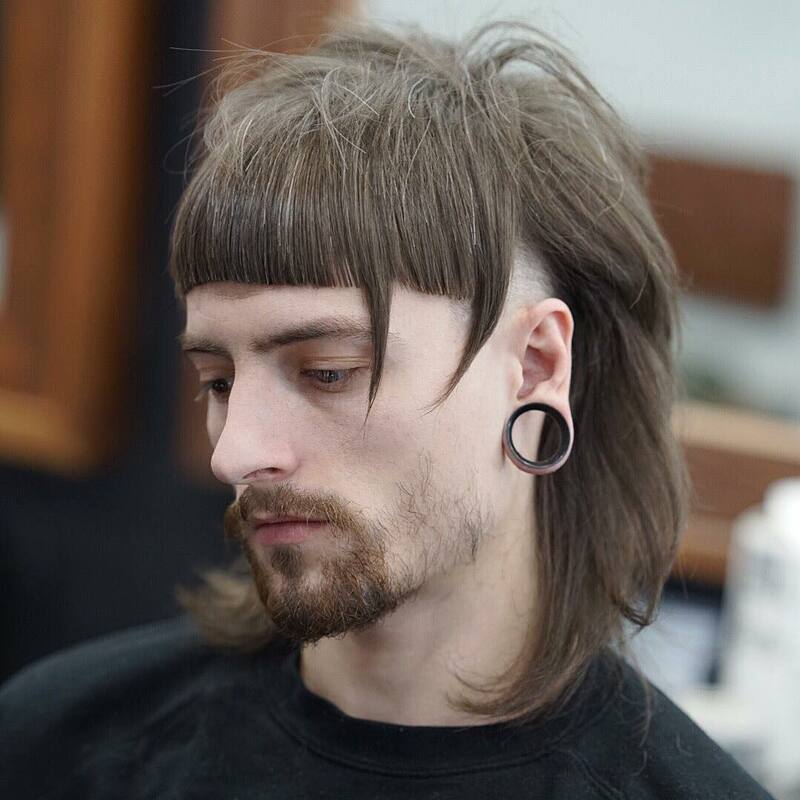 Vogue prefers this center-parted, shoulder grazing cut to his man bun. 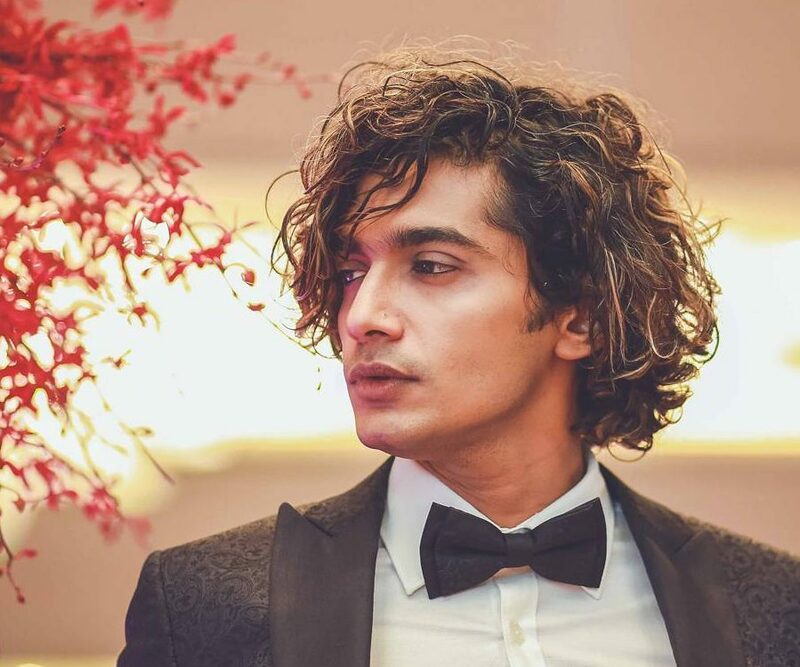 This chin length cut seen on actor and model Heshan Manula creates a flattering shape and manageable length for men’s curly hair. The man bob can be your final destination or a step on the way to longer hairstyles for men. When growing long hair, occasional cuts are recommended to sculpt the shape and keep ends healthy. The man bob is a trendy way of saying chin length hair. 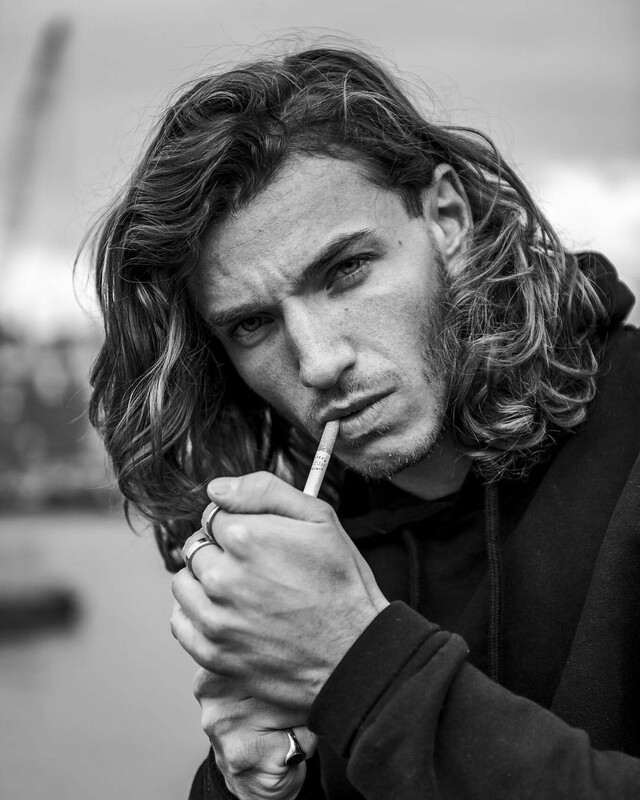 They key to great looking long hair for men is trims that shape hair and make it easier to style. 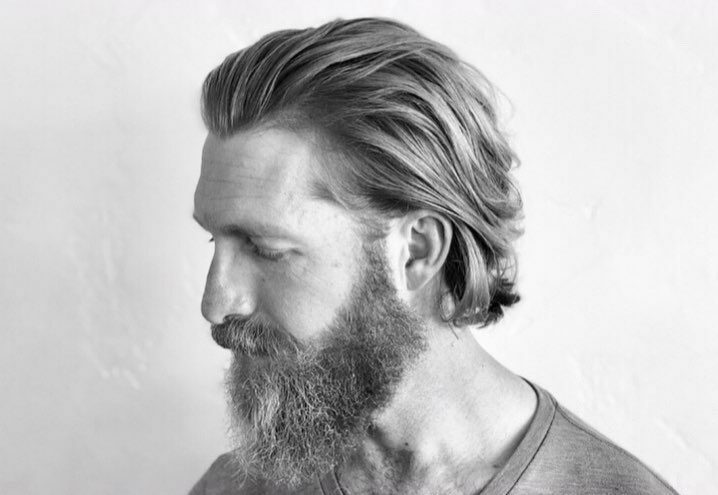 There are two obvious ways to style chin length hair for men. The first is with a part or for a more put together look, just work in product and sweep it back. This long men’s hairstyle would work in professional settings. Bob haircuts can be anywhere from around the chin down to the shoulder. Many of these long haired men have some wave that adds fullness. To bring out texture in straighter hair, rub some salt spray through damp hair and let hair dry. This hair product can also add definition to naturally wavy hair. 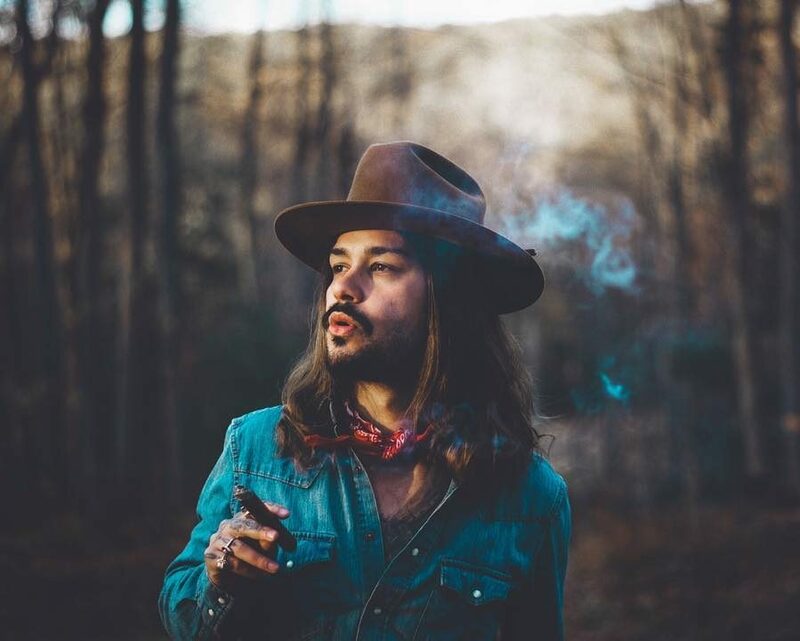 A hat is a cool way to add some hold to long men’s hair without any styling. Check out this cool barber for one of our favorite Instagram accounts. A straight and defined part would clash with these long wavy locks so go for this messy look created by fingers instead. Thick and wavy hair has plenty of fullness. Layered haircut help get that look for straight hair by adding dimension and body. 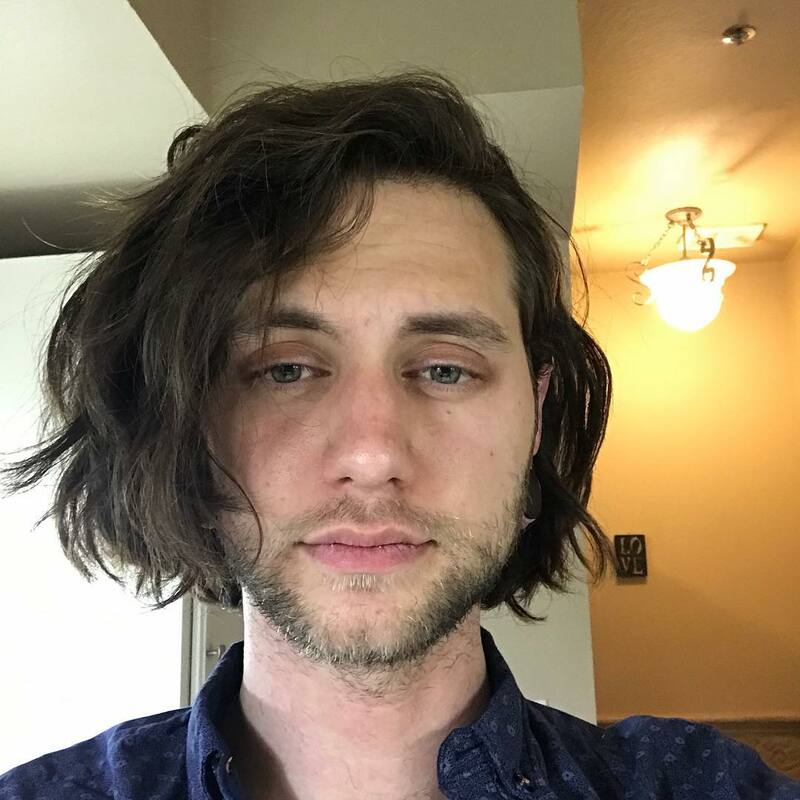 Longer hair and facial hair work really well together. 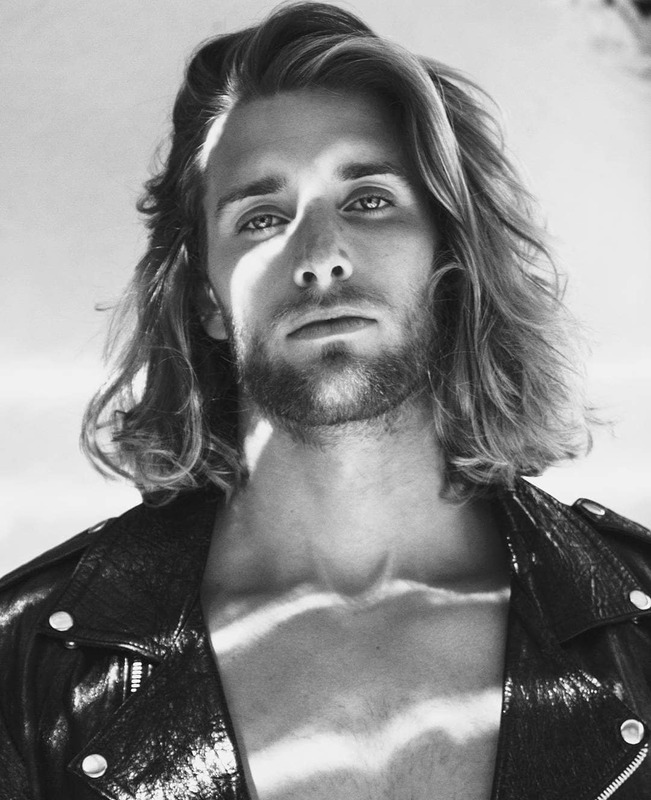 The texture of long curly hair contrasts with this neatly groomed short beard. 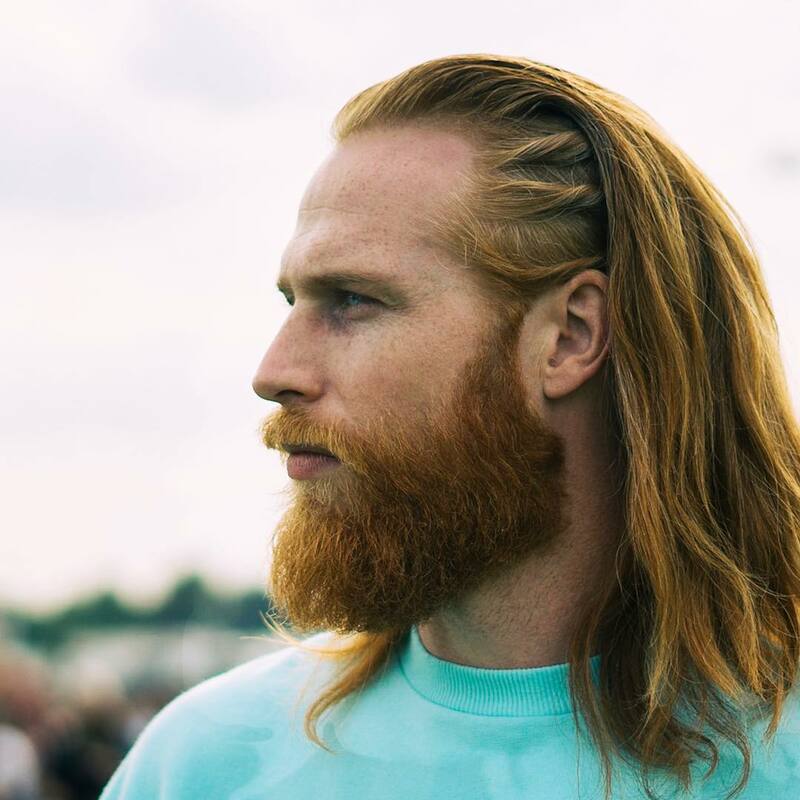 Musican, model and influencer Gwilym Pugh is known for his his long red hair and full beard. This cool look pulls hair back instead of wearing it with a part. 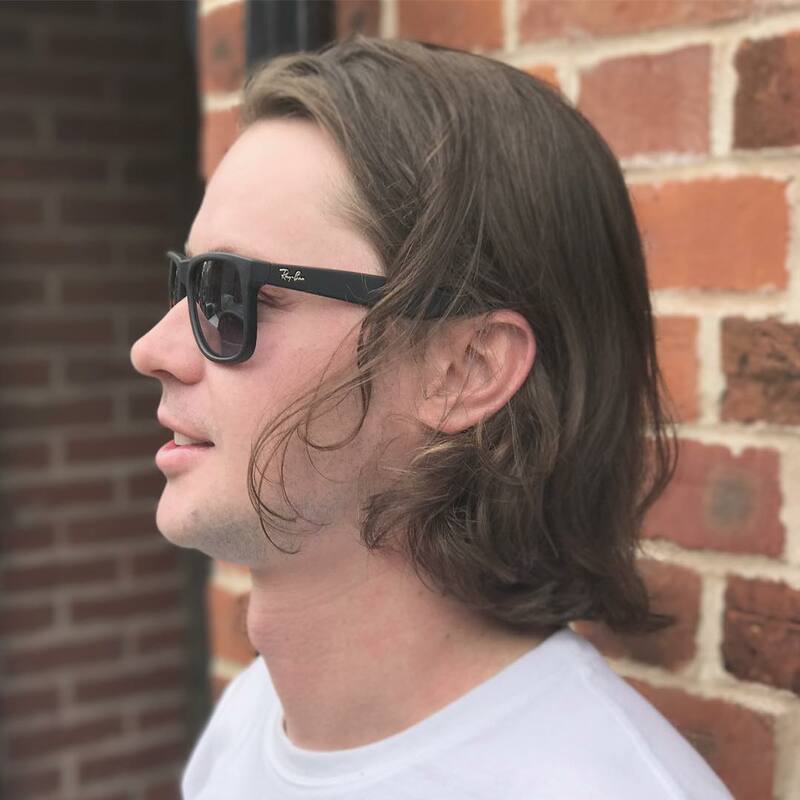 Long hair for men has been associated with being metal or a hippy but in 2018 it can just be stylish. 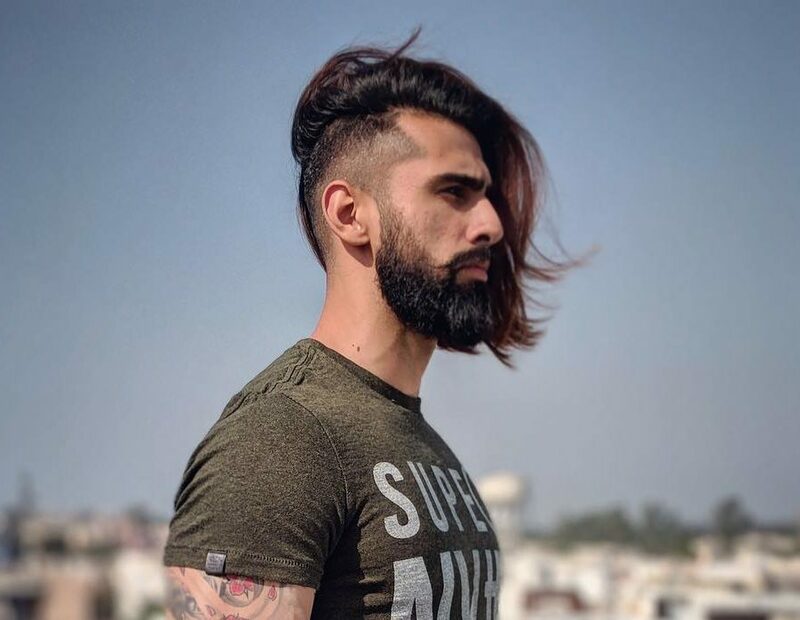 While long thick hair for men can be very flattering with a blunt cut, adding layers for finer or straighter hair creates a more flattering shape while adding texture and fullness. 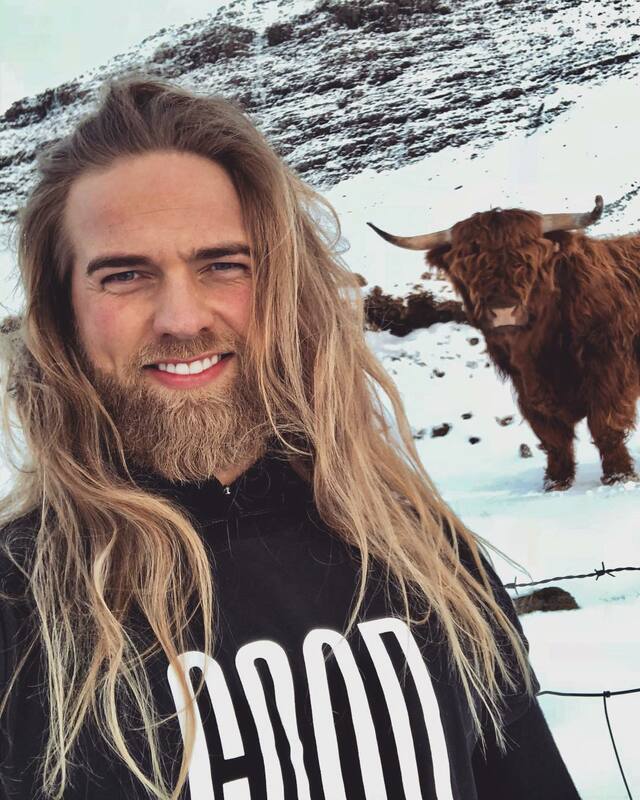 Lasse Matberg, a modern day Viking, rocks long hair in every hairstyle possible but still gravitates to wearing hair down. A fade haircut can truly be worn with any haircut. 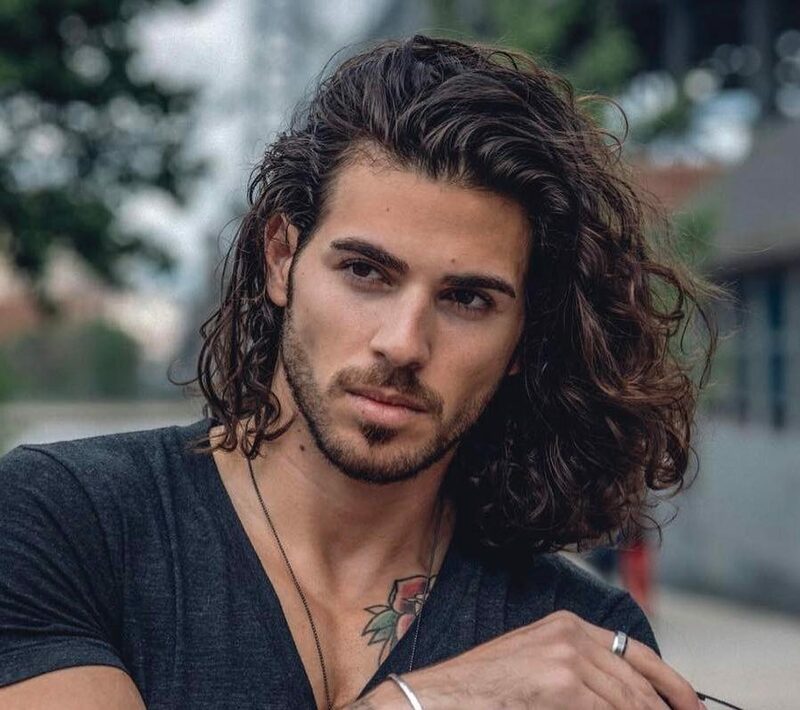 Here the contrast between long hair looks great with hair worn down or up in a man bun. Adding an undercut fade makes long hair easy to style because there is less of it. An undercut around the sides and back creates a cool look for hair worn up or down. 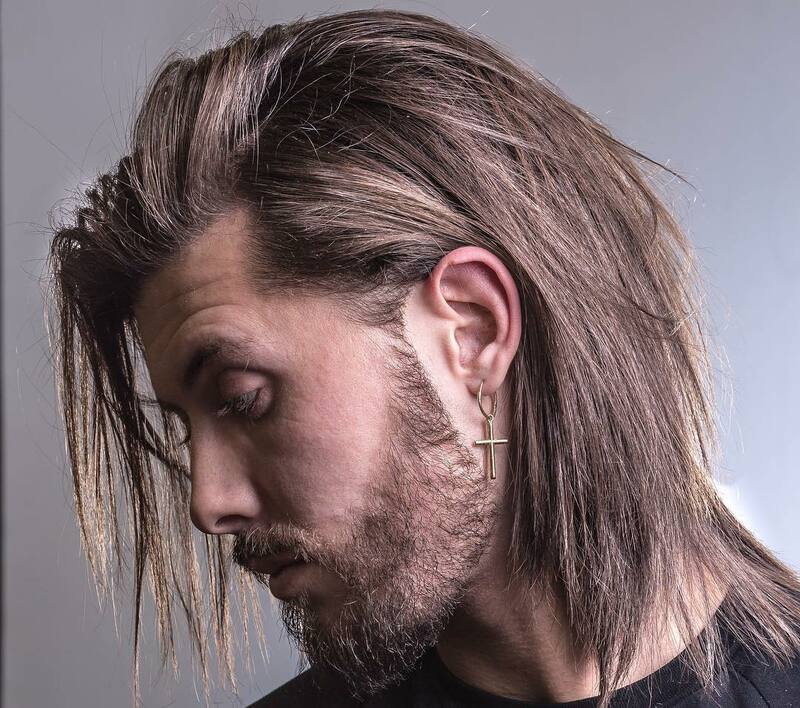 This creative and unique mullet-inspired long men’s hairstyle features blunt bangs with jagged pieces, long texture at the back and unexpected shaved sides. 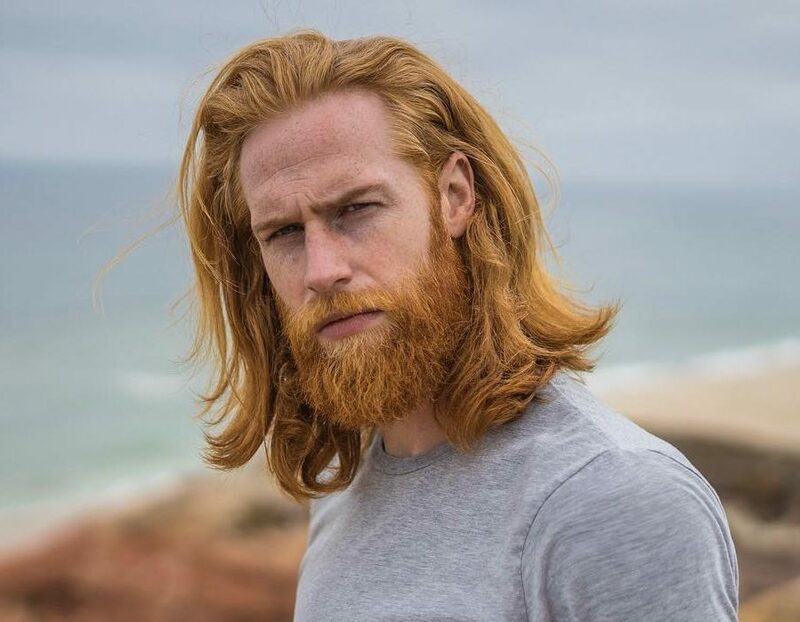 Viking hairstyles pull long hair back to get ready for battle. Braids are a popular choice but these twists at each side with hair slicked back also does the trick. 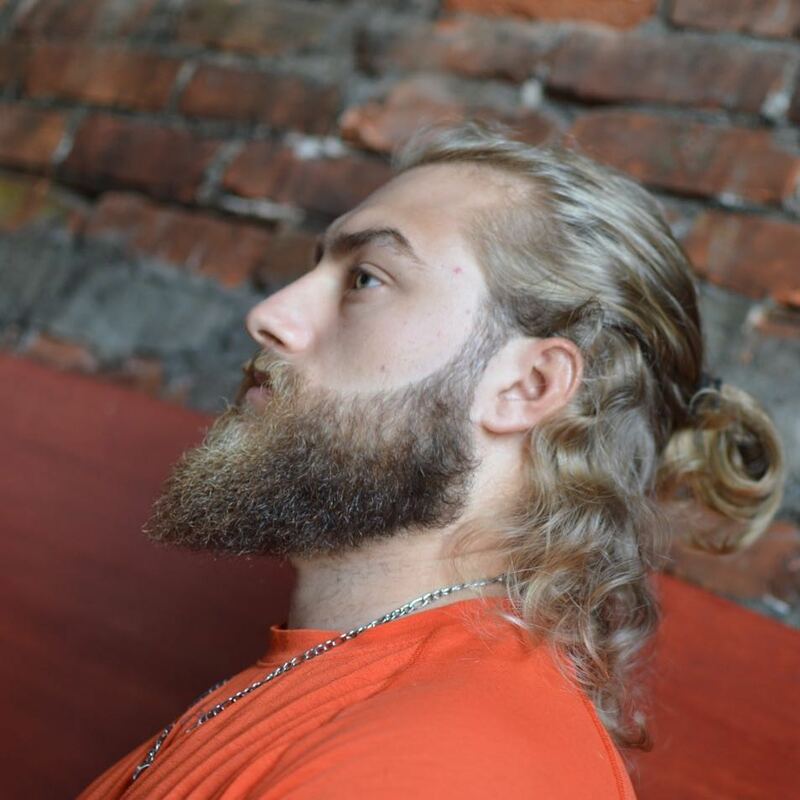 Multiple sizes of braids pulls hair back from the face and adds cool texture in this ultimate viking hairstyle for men. 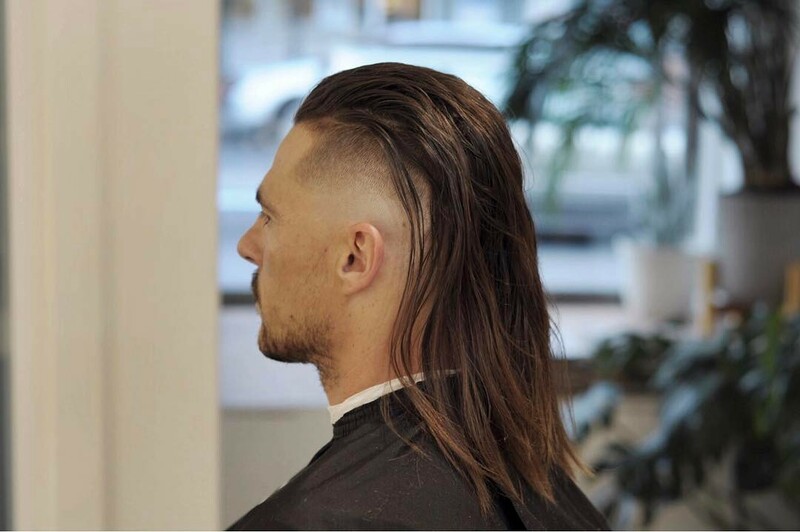 Check out Nils Kuiper’s Instagram for more interesting long hairstyles for men. 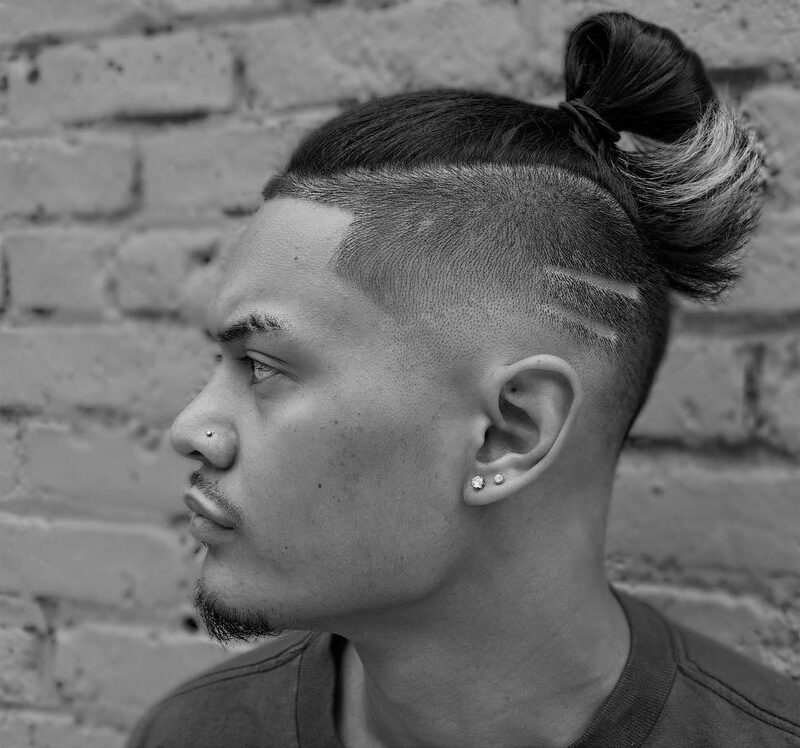 This half man bun is an easy yet polished look for long hair. Grab a large section of hair above the ears, secure it with hair elastic, stopping before pulling through the last loop of hair to create a bun. 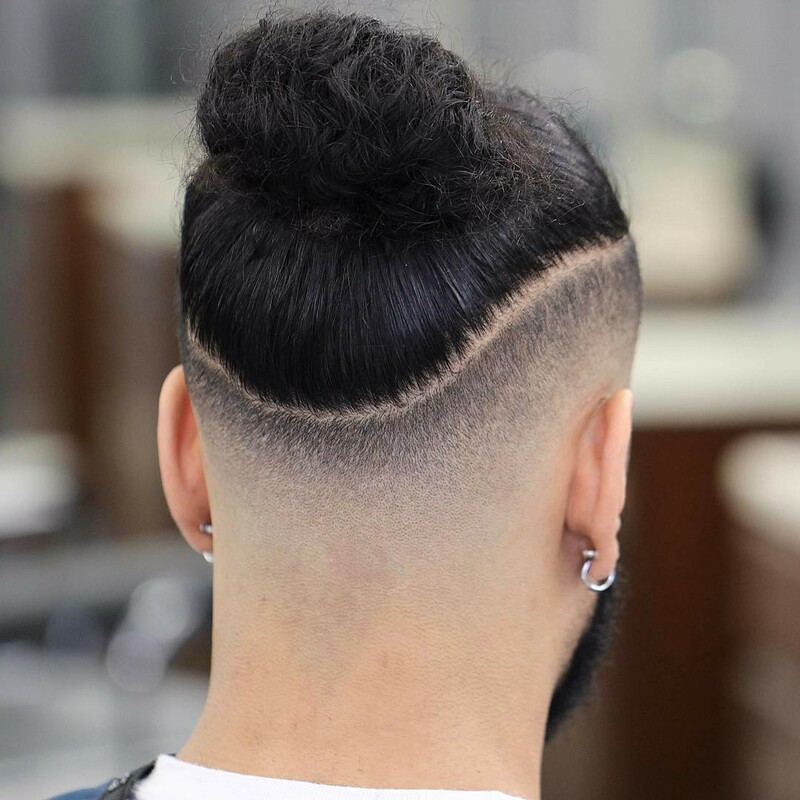 This drop fade is revealed by long thick hair pulled up into a man bun. This long hair with and undercut hairstyle looks totally different from the front than the back. The samurai bun couldn’t be easier to style with these shaved sides and looks great at every length. A high fade ensures that this long thick hair is easy to manage and style. A hair design and color at the tips adds visual interest. 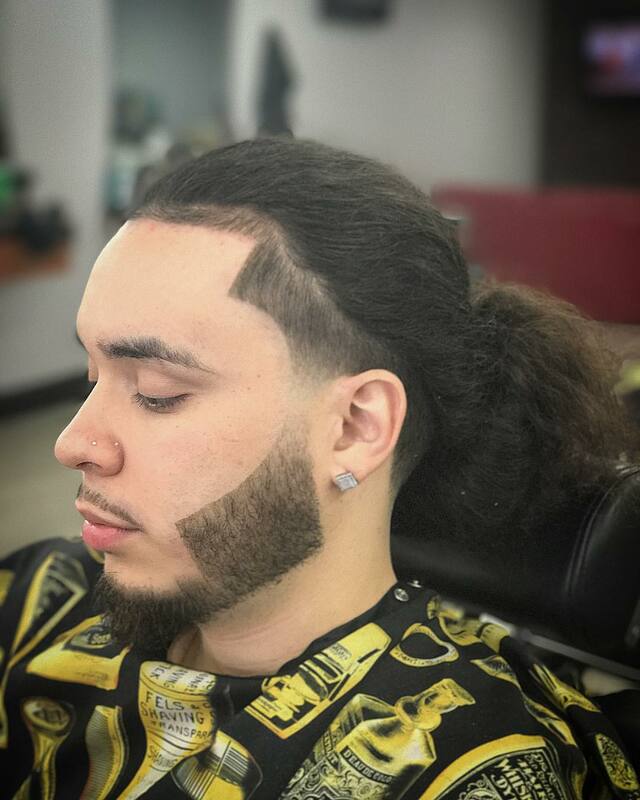 Fades and line ups are popular for guys with curly hair at every length to sharpen up the edges. The combination looks great with shaped facial hair as well as curly hair pulled back into a low man bun. 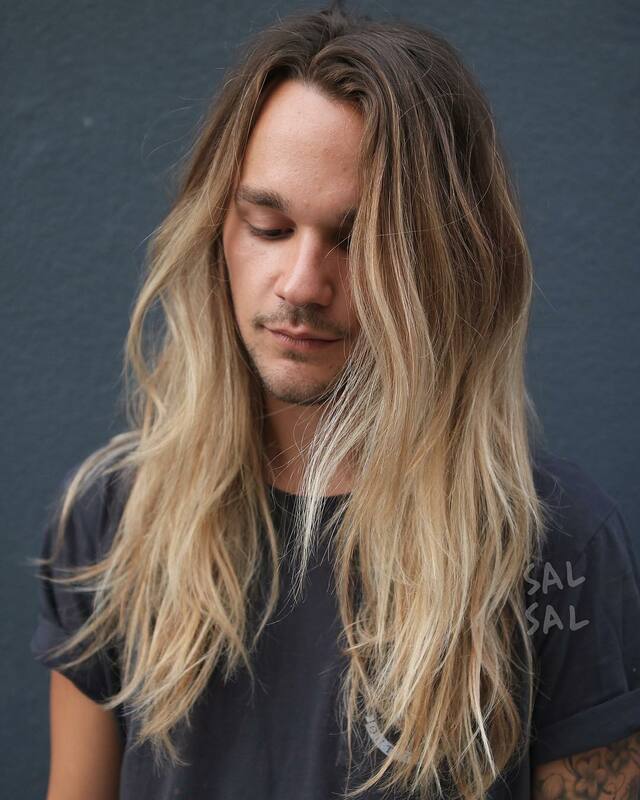 This cool look combines long hair all over with crisp details. 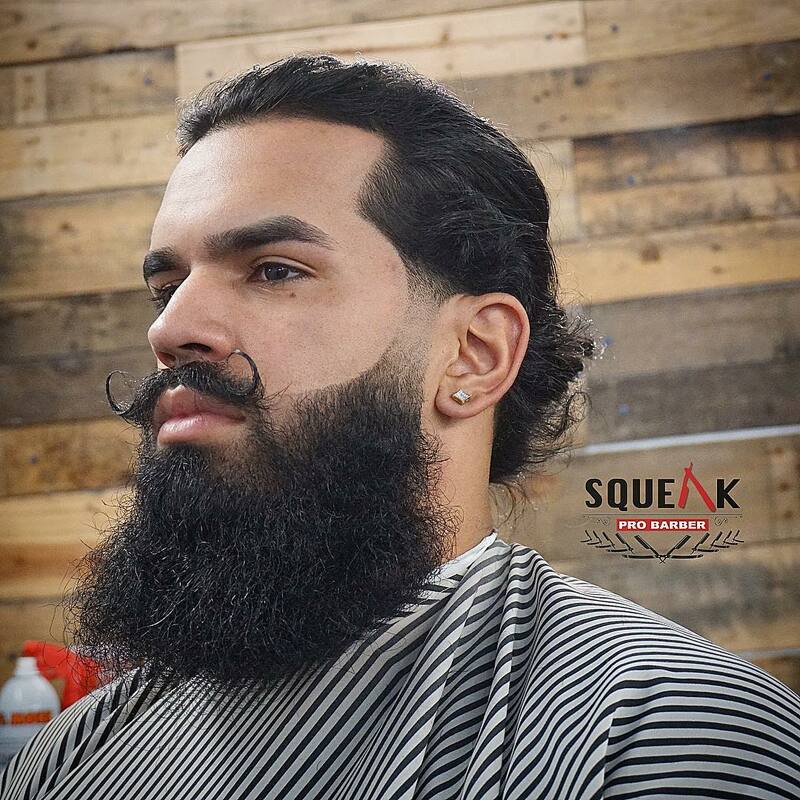 Long thick hair is pulled back into a man bun and cleaned up by a quick fade at the side burns. The full beard has a flattering shape and looks great with a handlebar mustache.